In Kya's words: Gah, it's hard to try and place in words how much I love and adore this man, although it's not the stalkerish type… no really. I love his acting ability, his personality off screen and the aura of greatness that swirls around him. You feel like you know him, but then a slight look or gesture reminds you he is a mysterious creature with the secrets of the world locked behind his shadow. I adore the many characters he has mastered and his ability to become them so completely you feel like you are watching the core of a scene unravel - unscripted and real. Gary is one of my favourite actors and I thank Sirius Black for bringing my attention to him, siriusly. 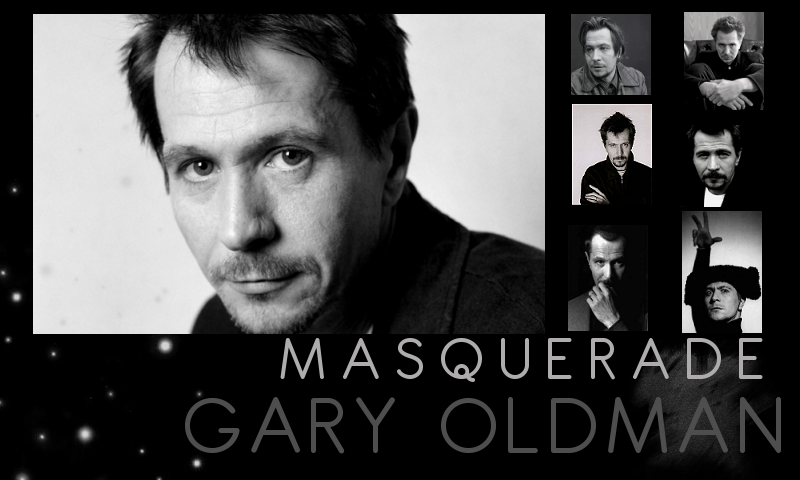 Gary Oldman is a one of a kind talent. My introduction to him was through Bram Stoker's Dracula, and from that point on, I became a huge fan of his. Since then I've enjoyed watching him perform in True Romance, Leon: The Professional, Immortal Beloved, Lost in Space, Hannibal, the Harry Potter movies, the Batman movies, and Red Riding Hood, though I may be missing some on this list. Kya stated it perfectly when she said an aura of greatness, because he truly is a master at his craft, and a fascinating human being. Gary Leonard Oldman (born March 21, 1958) is a double BAFTA- and Saturn Award-winning, Emmy- and Screen Actors Guild Award-nominated English actor and filmmaker who has garnered critical acclaim for his chameleonic performances and mastery of accents. He is known to film audiences for his roles in films such as State of Grace, Bram Stokers Dracula, True Romance, Léon, The Fifth Element, The Contender, the Harry Potter film series and Christopher Nolans Batman film series. Oldman has also portrayed a significant number of real-life historical figures on screen, such as Joe Orton, Lee Harvey Oswald, Ludwig van Beethoven, Pontius Pilate and perhaps most notably, Sid Vicious, his portrayal of whom in 1986 biopic Sid & Nancy was listed as one of Premiere Magazines "100 Greatest Performances of All Time". Oldman is generally regarded as one of Englands most diverse and gifted actors. In 1997 Oldman directed, produced, and wrote the award-winning Nil by Mouth, a movie partially based on his own childhood. Oldman was born in Underwood, Nottinghamshire, England, the son of Kathleen, an Irish-born housewife, and Len Oldman, a former sailor who worked as a welder. Oldman has said that his father was an abusive alcoholic who left his family when Oldman was seven. Oldman was an accomplished singer and pianist as a child, but gave up music to pursue an acting career. His inspiration was Malcolm McDowells performance in 1970 movie The Raging Moon. In a 1995 interview with Charlie Rose, Oldman said: "Something about Malcolm [McDowell] just arrested me, and I connected, and I said "I wanna do that"." Oldman retained his love for music, however, and can be seen singing and playing piano in the 1988 movie Track 29, and tracing over pre-recorded versions of Beethovens music in Immortal Beloved. Oldman won a scholarship to the Rose Bruford College, where he received a BA in Drama in 1979. He had initially applied for enrollment into Britains prestigious Royal Academy of Dramatic Arts, but was refused entry. Oldman told Charlie Rose in 1995 that he was told to "find something else to do for a living". Rose, surprised, asked jokingly, "Have you reminded them of this? ", to which Oldman replied that "the work speaks for itself." Following his graduation from Rose Bruford College, he later studied with the Greenwich Young Peoples Theatre and went on to appear in a number of stage plays including The Popes Wedding, for which he received Time Outs Fringe Award for Best Newcomer of 1985–1986 and the British Theatre Associations Drama Magazine Award as Best Actor of 1985. Oldman appeared on Reeves Gabrels album The Sacred Squall of Now, performing a duet with David Bowie on the track "Youve Been Around". More information can be found at Gary's wikipedia page & his imdb.com profile.